Today: Set your abandoned vegetables free, in just 5 steps. I like this Julia Child trick to thicken soups a little without dairy: add uncooked rice-a tablespoon, or more if it's a large amt of liquid, and purée later. Would this work with beets? BTW, if you don't want to use dairy, nut milks or bean milk, such as soy, mung or lima are great. I make mine at home and they are delicious. And, you can use a few of cubes of cooked potato to thicken your soup and it won't impact the flavors much. Also, cooked grains will work as well as some chick pea flour. 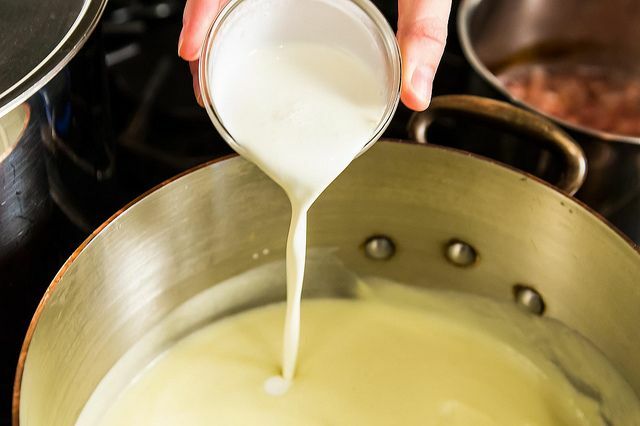 If you use flour of any kind, dry roast it briefly in a pan to get rid of the raw taste mix with a tiny bit of cold water and add to your soup or make a roux from the roasted flour and add it after it is blended. I was just reading the asparagus soup recipe which looked great and now this beauty! I love the variations. Since a lot of people have Zucchini in the veggie patch, as always, that is what I use and raw. 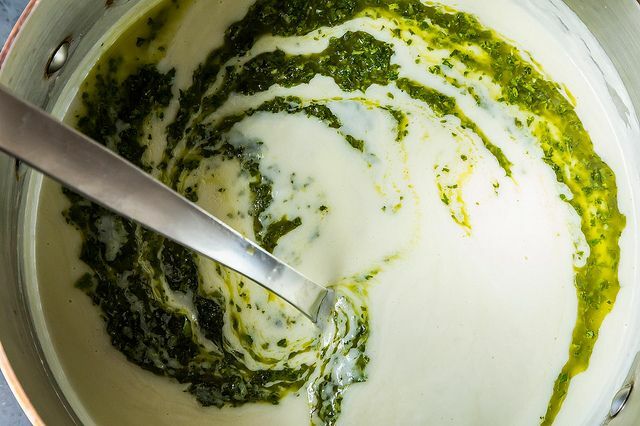 Making a cold soup with a little cream or yogurt added is delicious on a hot summer day. Especially for hubby when he comes in from doing yardwork in the triple digits. Thanks for posting this delicious recipe! I use an immersion blender for these types of soups and its perfect. Not handling hot liquid, making a mess, having more things to wash and it gets the soup creamier than anything. My immersion blender is one of my favorite Christmas present I recieved this year. I've used it way more than I thought I would. This was wonderful! I made it with Cauliflower etc but roasted it first so I didnt need to simmer for very long....just long enough to soften the onions and the dried mushrooms that Christina Cucina recommended! It says "Simmmer til tender". That worked for me! You're right, the explanation is a bit vague. You do have to simmer to cook the veggies if they are raw. Is there a step missing between Add stock and Blend - like simmer until vegs are cooked? A note's been added! Thanks for the catch. I've been planning to for weeks to do this using non-fat yogurt for the dairy. . think it will work or am I going to get clabber?. . Monsan, you do not need to use yogurt / dairy to create a thick, rich beautiful soup. I learned two brilliant ways to do this, from Clotilde Dusoulier's excellent blog, Chocolate & Zucchini. One way is to stir 2 heaping tbs. sesame tahini (or other nut butter) into your heated soup at the end of the recipe, after blending your soup. 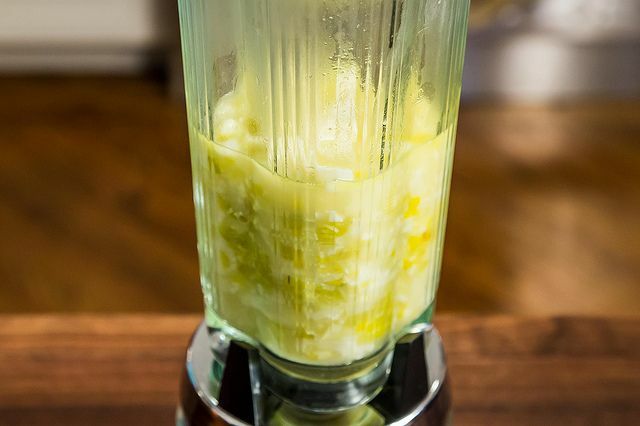 The other is to add 100 grams of toasted almond powder to the soup after you've let the soup cool slightly; then blend the soup with an immersion blender until completely smooth, gently reheating the soup if needed. I use these methods regularly, and my soups come out rich and creamy, without dairy! Thank you, half, for the great suggestions. . but my goal was to eliminate fat rather than dairy. . nuts wouldn't be first choice for that. . !. . I am happy to say I figured out this formula long ago! My mom always made sloppy joe's by sauteeing an onion with a pound of ground beef (drain the fat), then adding equal parts ketchup and chili sauce and cooking until the flavors blended; served on burger buns. Yum! One of my childhood favorites. Sometimes I'll just clean out the fridge, make soup, and freeze it for those nights when life's too much to cope with. There's something reassuring about having home made soup. What a perfectly thymed article! I have needed to clean out my refrigetator for a week now. I'm going to try AntoniaJames idea of adding the preed toasted nuts as well!! 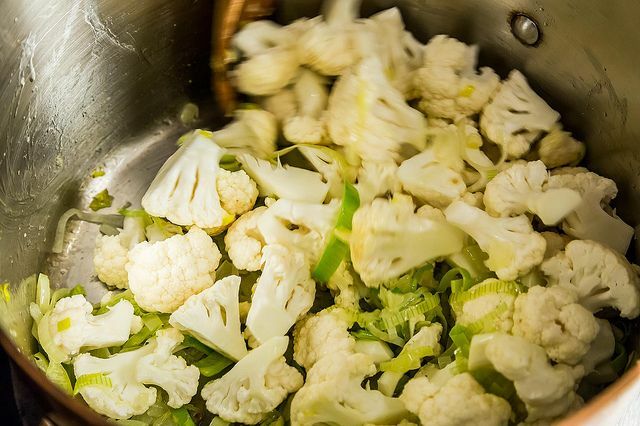 It's alot faster to separate the cooked veggies from the liquid before pureeing. use a colander(saving the liquid) or remove solids from pot with a sieve/ladle; puree solids and pour back into pot of liquid. A good way to add body to a pureed veg soup without using cream is to add a peeled potato or two. Garnishing with a small dollop of sour cream (or Greek yogurt) also adds a hint of cream, and a nice textural contrast with the pure vegetable puree. Soups are great. 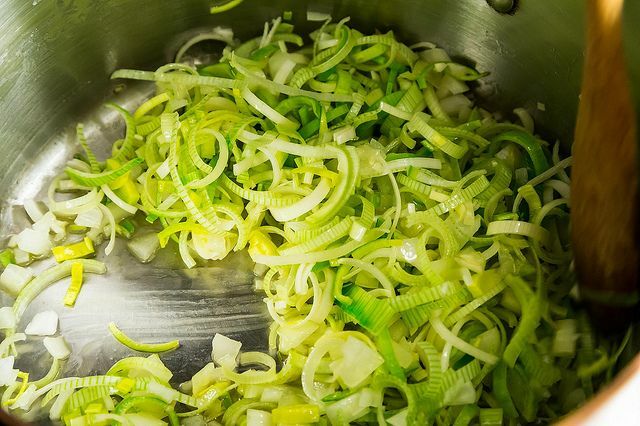 This is a really nice article illustrating the basic components that make a great soup. 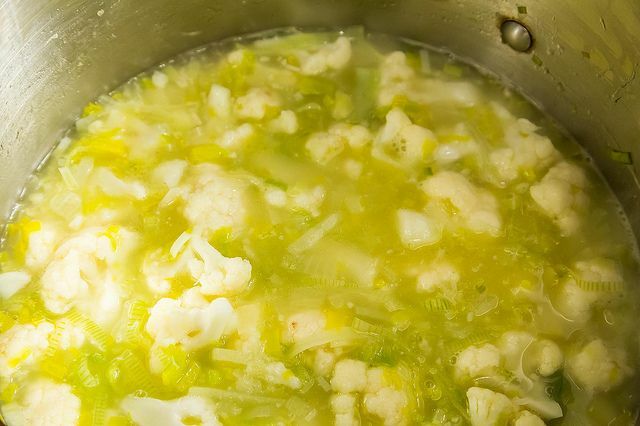 If you don't want to add dairy products, I find that a little coconut milk does wonders to add some richness to pureed soup--I made curried cauliflower soup with coconut milk last week and was astonished at how much richness and flavor it added. I only used a cup! Wow--that sounds fabulous! I'm putting it on the menu. Totally agree - coconut milk or some Greek Yogurt work wonders in adding richness without as many calories and dairy-free.